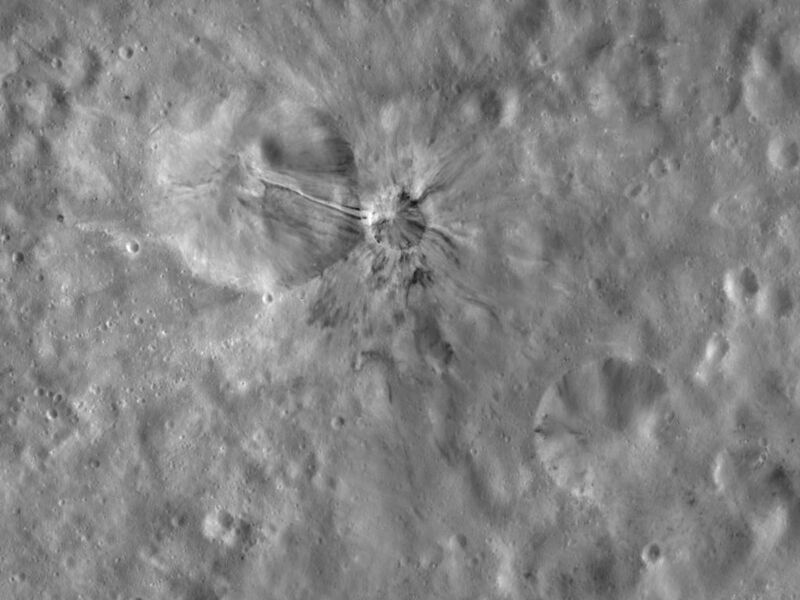 This Dawn framing camera (FC) image of Vesta shows Aelia crater, which is the small crater roughly in the center of the image. There is a larger, more degraded crater to the left of Aelia. 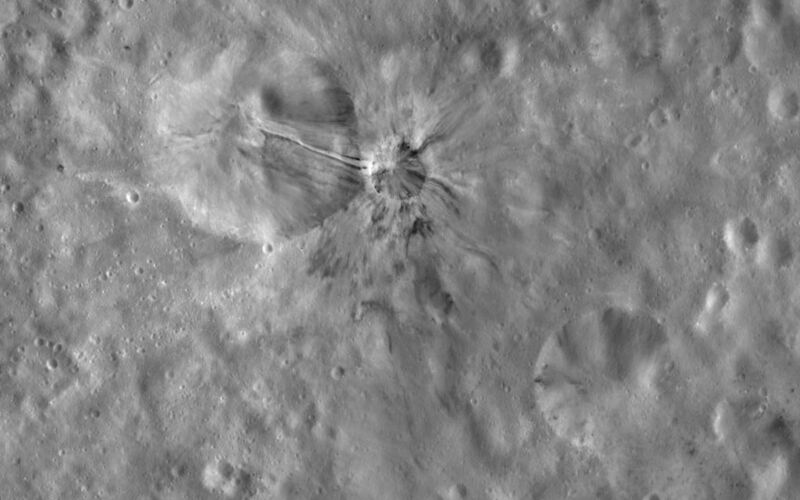 Dark and bright material crops out from Aelia's rim and slumps towards its center and also extends in rays outside of the crater's rim for up to approximately 7 kilometers (4.4 miles). This dark and bright material is concentrated into bands, each of which is less than 1 kilometer (0.6 mile) in width. One particularly striking band originates on the left side of Aelia's rim and then slumps down into the neighboring, degraded crater. This band consists of a central band of bright material that is flanked by bands of dark material on either side. This image is located in Vesta's Lucaria Tholus quadrangle, in Vesta's southern hemisphere. NASA's Dawn spacecraft obtained this image with its framing camera on Oct. 23, 2011. This image was taken through the camera's clear filter. 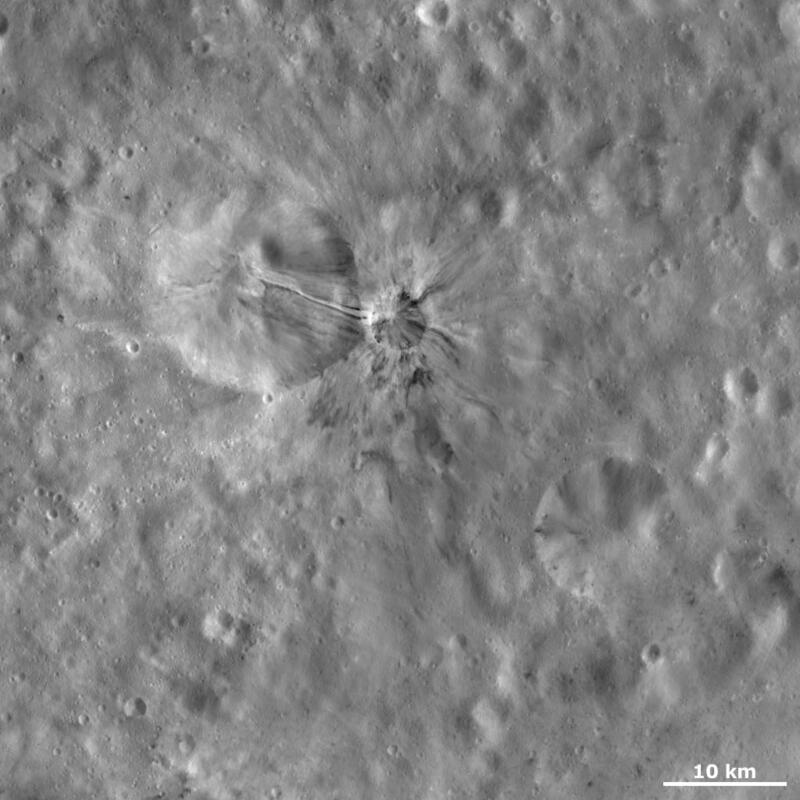 The distance to the surface of Vesta is 700 kilometers (435 miles) and the image has a resolution of about 63 meters (207 feet) per pixel. This image was acquired during the HAMO (high-altitude mapping orbit) phase of the mission.